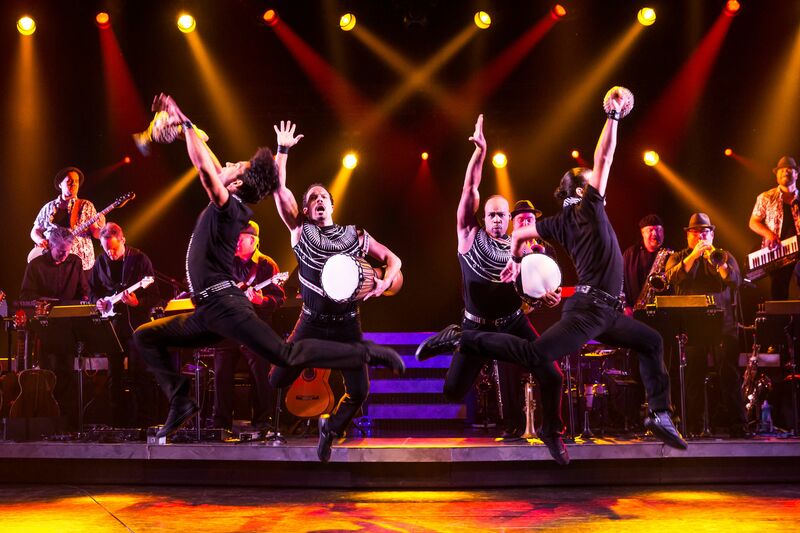 CHAUVET DJ Helps Broadway Get On Its Feet! NEW YORK– It’s not surprising that Gloria Estefan and the Miami Sound Machine sold over 100 million records worldwide in their storied career. There’s something about the group’s rich melodies and carefree rhythms that naturally draws people to its music. The Broadway hit On Your Feet captures the magic of the 1980s dance and concert scene that spawned this superstar band in a way that’s as smooth and graceful as one of its lead singer’s signature dance hits. Like all seemingly facile efforts, however, On Your Feet was the product of relentlessly hard work on the part of a lot of talented people, including director Jerry Mitchell, executive producer Susan Bristow and lighting designer Ken Posner. The Tony Award-winning LD faced the challenge of creating a concert-style lighting look on a smaller Broadway stage, with a theatrical budget to boot! Posner meet this challenge in convincing fashion with the help of 59 CHAUVET DJ Intimidator Beam LED 350 moving fixtures. In return, as anyone who sees On Your Feet will readily agree, the lighting design does justice to this legendary group.